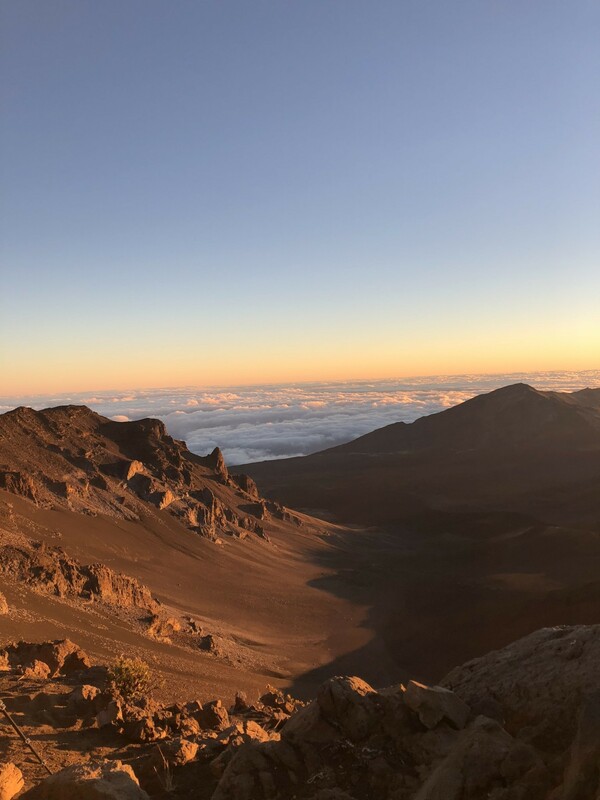 I’ll admit, before visiting our 50th state, I totally underestimated the amazing beauty of Hawaii. 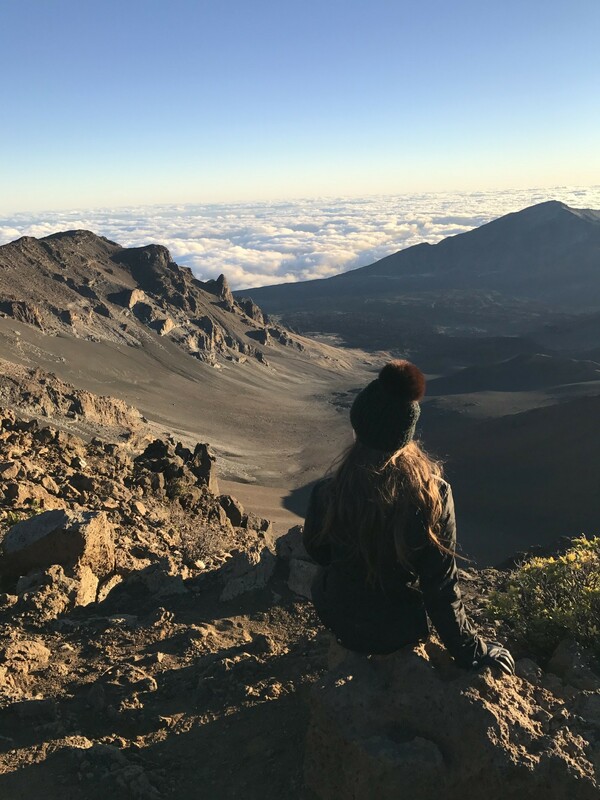 Sure, after years of seeing friends’ gorgeous photos from their vacations to the islands, I knew that one day I wanted to travel to Hawaii, but it just wasn’t at the top of my travel bucket list. Flash forward to this past fall when my husband and I decided we wanted to take a winter vacation. 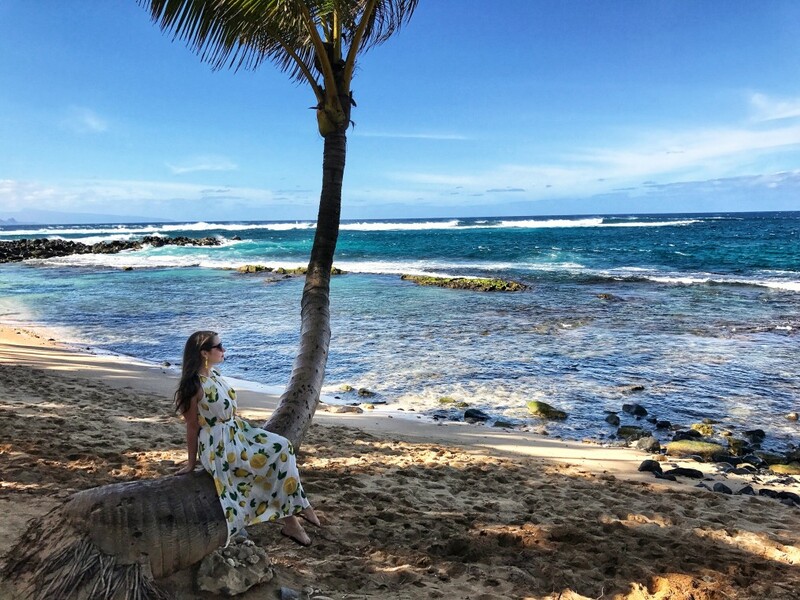 In a quest to escape Boston to enjoy warm weather and sunshine, the idea of a Hawaiian getaway quickly became our next adventure! All I can say is “Wow!”. 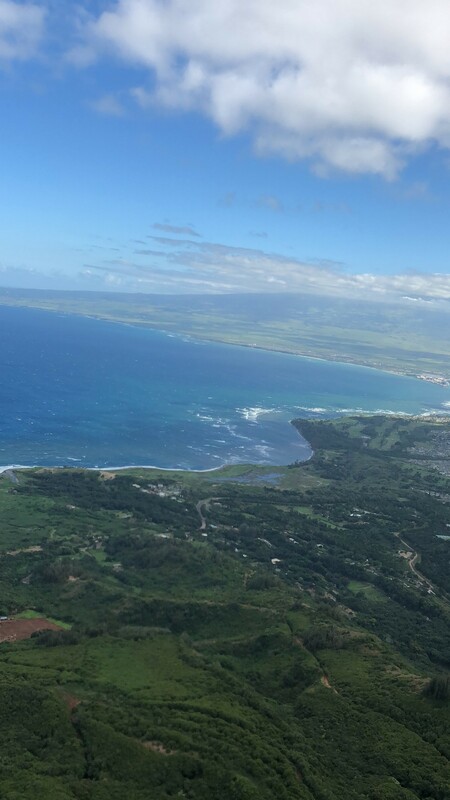 From the moment our plane landed at Kahului Airport, I knew we were in for a treat, as the Maui landscape is absolutely stunning! 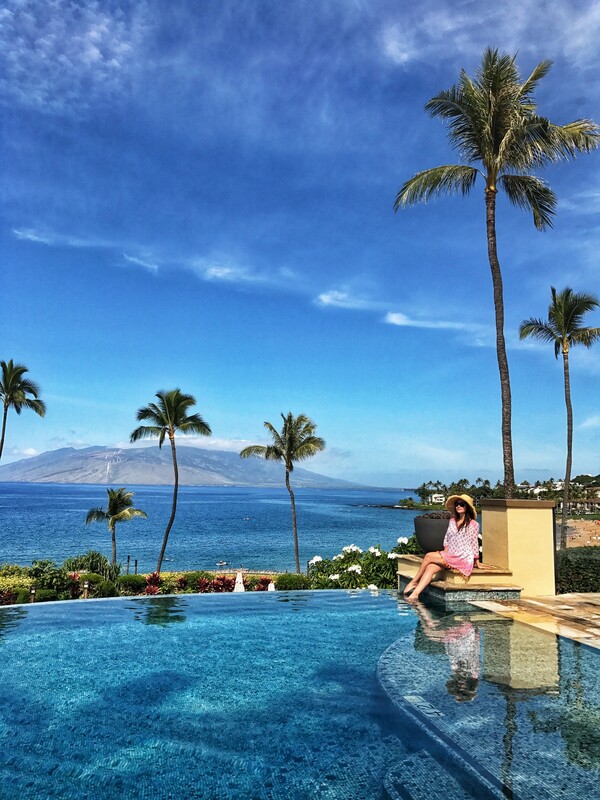 With temperatures in Boston in the teens, I don’t blame you if a warm weather Hawaiian vacation is also on your mind. 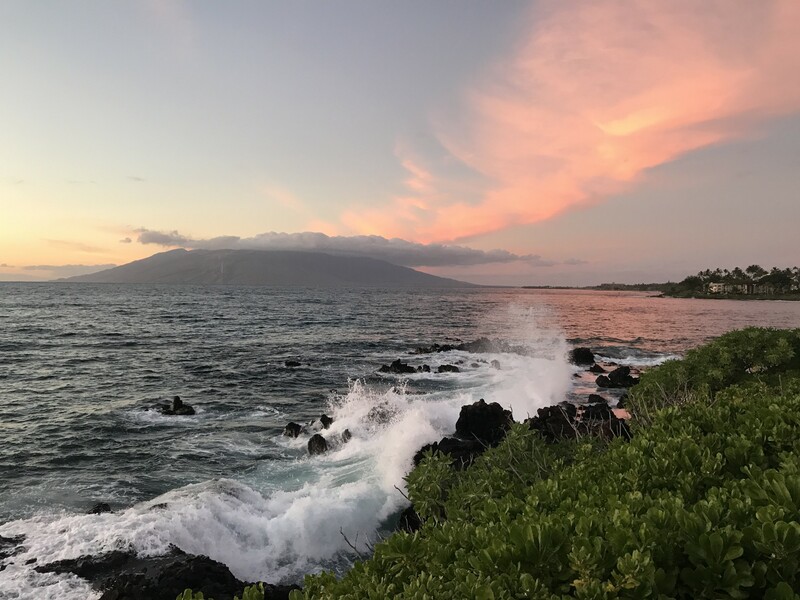 Whether you jet off to Maui next month or decide to plan a future trip, I’ve rounded up my top must-dos during a visit to the island. Dress warm! As a Bostonian, I am no stranger to cold weather and the top of the mountain is chilly, even by Boston standards! Pack extra layers, a hat, and gloves in your suitcase. You need to make a reservation WELL in advance to reserve a spot. It’s only a $1.50, so if you are unsure of exactly what day of your vacation you want to do this, I recommend booking several reservations to be safe. 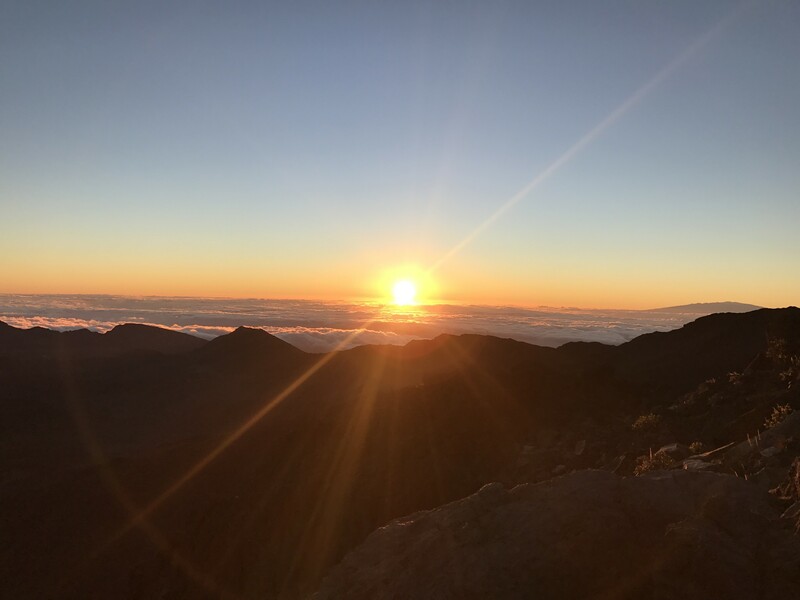 There is also a $25.00 admission to enter the Haleakala National Park, but the admission fee is good for three days, so plan your sunrise trip within the allotted timeframe of your Road to Hana adventure (more on that, below), so you don’t pay twice. Keep your receipt and make sure the credit card that you used to pay for it is on you during both visits, as they will double check that it’s really your ticket! Contrary to popular belief, the best viewing spot is actually near the second Visitor’s Center and/or up the small path that leads to a hill right above the Visitor’s Center parking lot (bring a flashlight if you are going to venture up this path before sunrise). 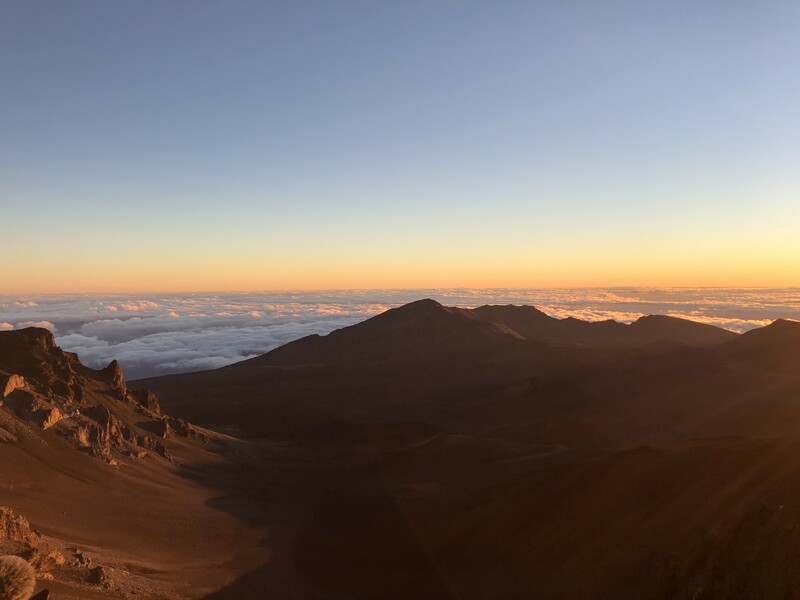 While most people will head all the way up to the highest point of the mountain, the vantage point from just a tiny bit lower has no obstructions and offers a clear view of the horizon and crater below. 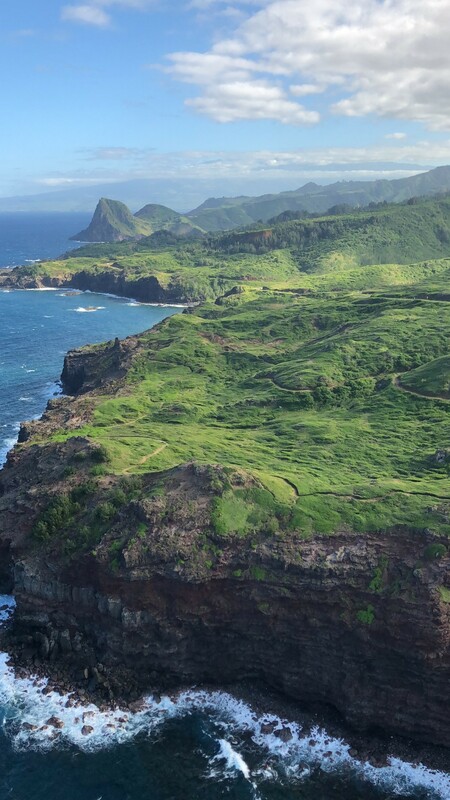 If you’re going to take a helicopter ride over Maui’s gorgeous terrain, it might as well have no doors, right? Go big, or go home! 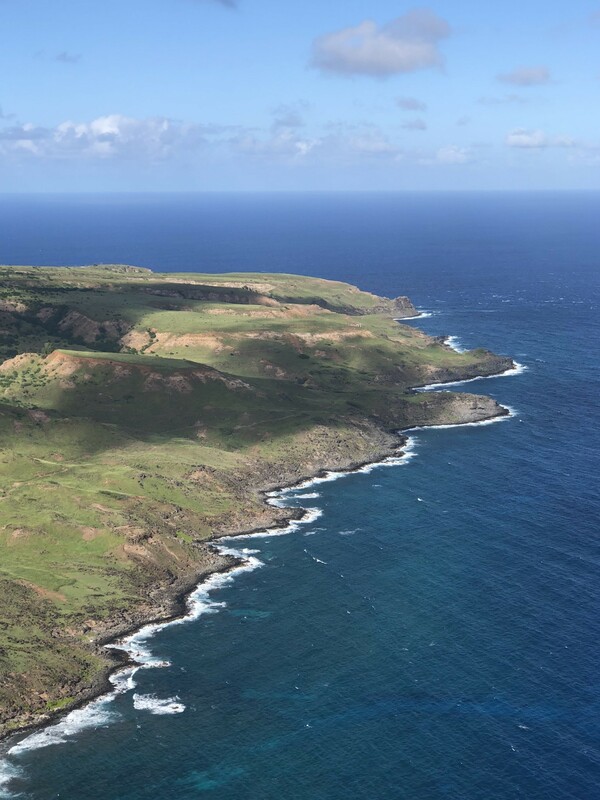 Throwing caution to the wind, we booked Maui’s only doors-off helicopter tour with Air Maui and it was BY FAR the best activity we did during our trip. While the price tag is steep and the ride is a short 45 minutes, the views were absolutely outstanding! 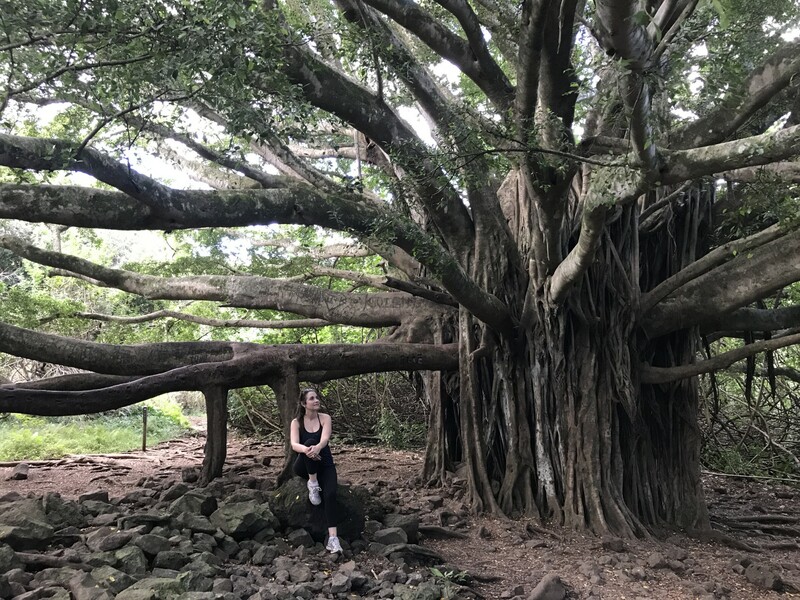 We ventured across West Maui and Molokai seeing waterfalls, sea walls, and the most lush greenery you could ever imagine. Make sure you have a very secure hair tie (mine fell out mid-ride and it took me a good 45 minutes to get the knots out of my hair that night!) and dress in long pants and closed toe shoes. After you leave your excursion, swing by the nearby Ululani’s Hawaiian Shave Ice, my favorite sweet treat on the island! 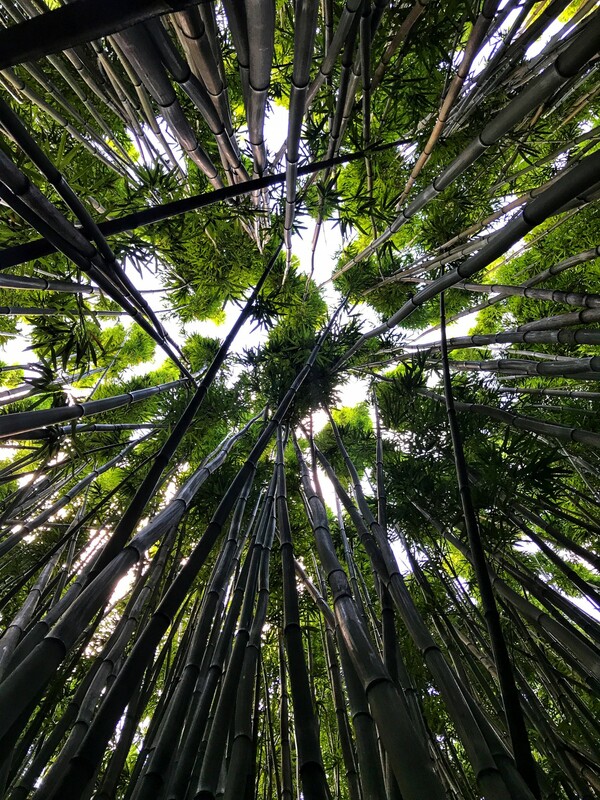 During a visit to Maui, many people debate whether or not they should travel the Road to Hana. We knew we wanted to do it and now that we’ve experienced it, I would definitely recommend it, but with a few key pointers. First, make sure the driver is comfortable with narrow, steep roads, as there are countless blind, sharp turns throughout the ride. 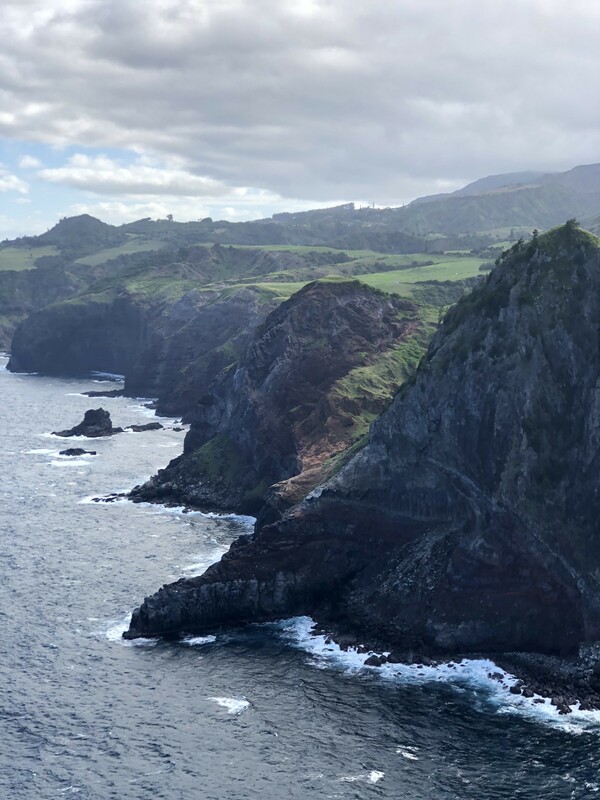 Second, I suggest downloading an app, such as Shaka Guide, that will help you navigate the various stops along the way while also sharing interesting historical facts about Hawaii. 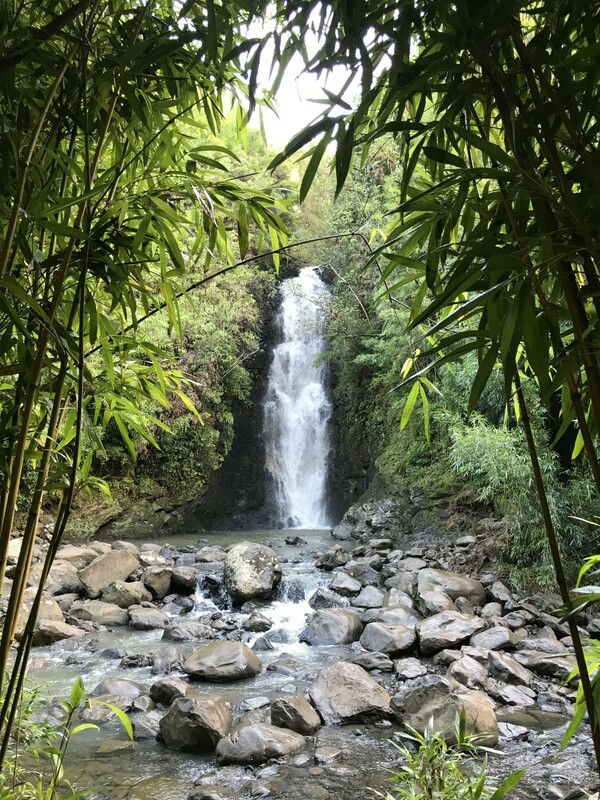 Third, the longest hike, and also the one that we found the most interesting, was the final stop along the Road to Hana. 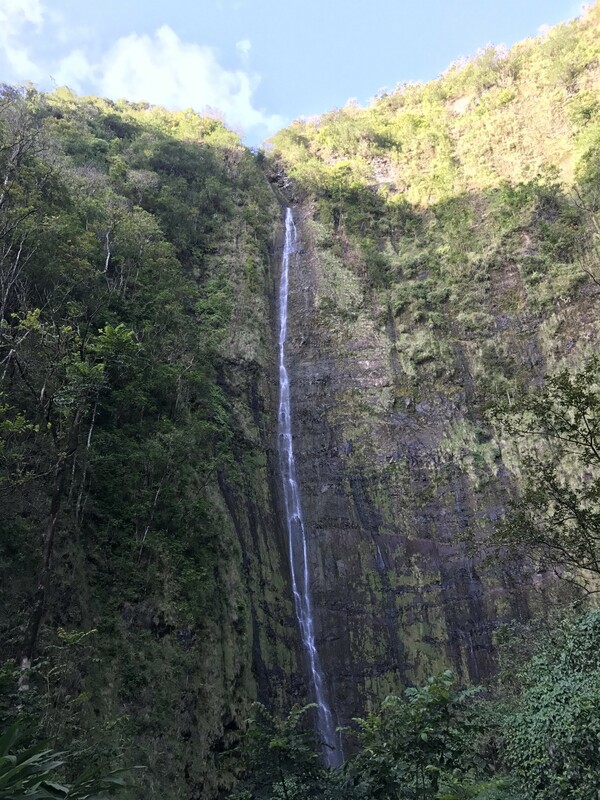 Located inside Haleakala National Park, this was a two-hour roundtrip hike on Pipiwai Trail, leading to Waimoku Falls. If we were to do the drive again, we would head here first and then back track and hit all of the other interesting stops on the way out. Our theory is that we would have had more energy for the best hike as well as less crowds at each stop. Fourth, pack plenty of water and snacks for the drive, as there are limited places to stop and eat along the way. Last, wear comfortable walking/hiking shoes and athleisure attire with a bathing suit and sandals packed in your bag. 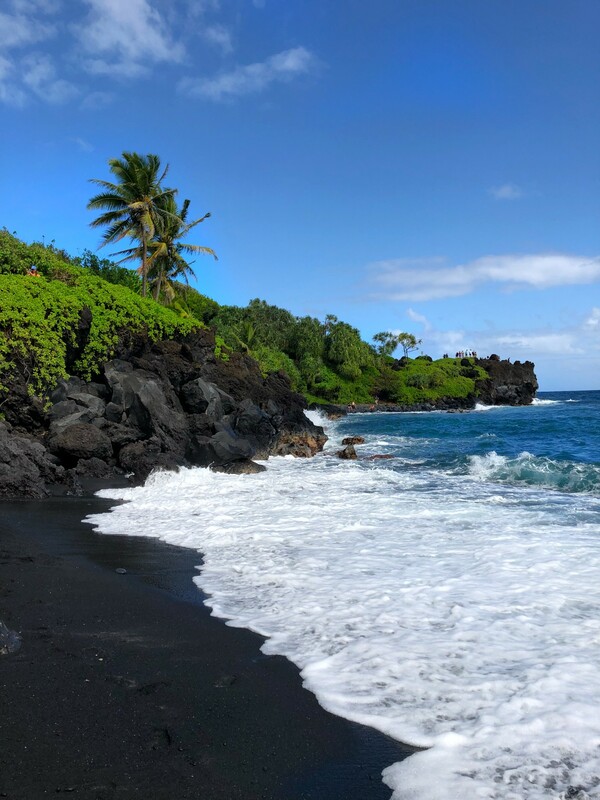 One of our favorite stops along the Road to Hana was at the Black Sand Beach in Waianapanapan State Park where you’ll definitely want to be able to enjoy the water and of course, black sand, while you are there! Paia was one of my favorite towns to explore while on Maui. 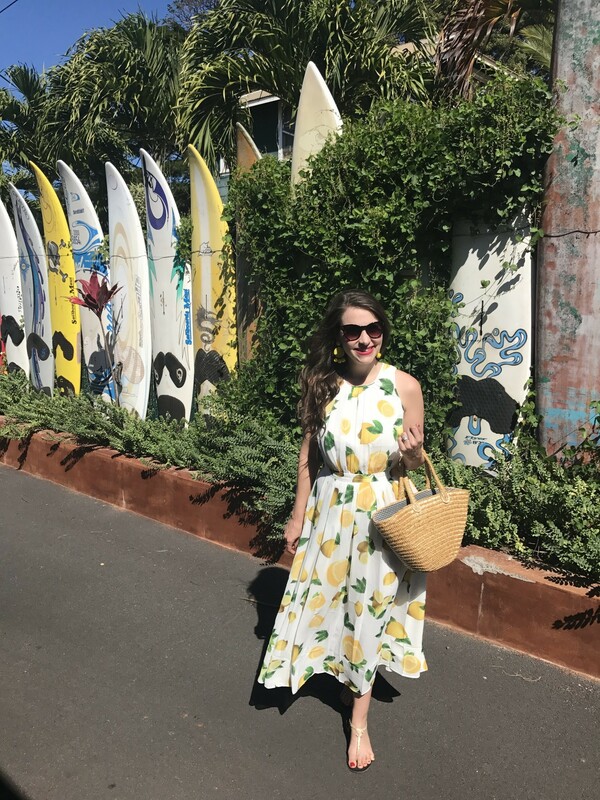 Its laid back vibe was complemented by countless surf shops, boutiques, and awesome eateries (for my fellow food lovers, don’t miss Paia Fish Market in town and the famous Mama’s Fish House, which is located right past the main town center and is just as delicious as everyone says it is!). 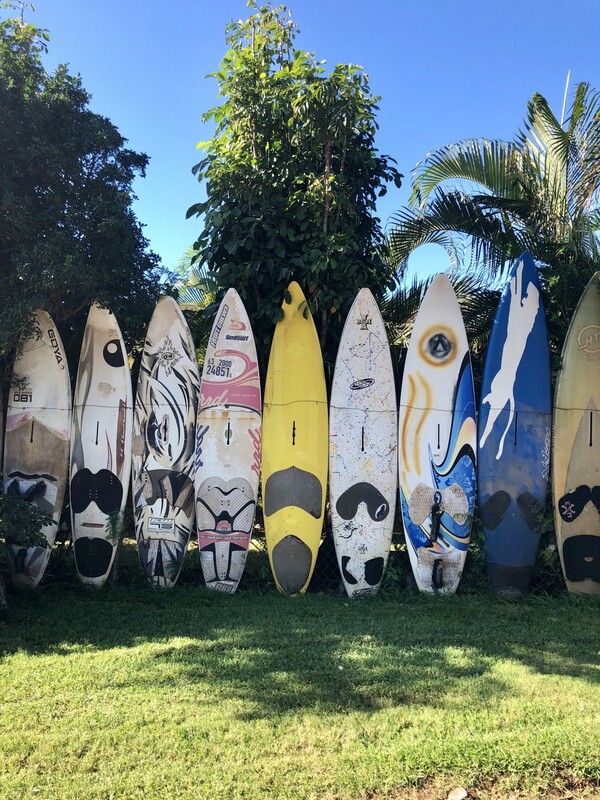 I loved exploring the various boutiques, such as Nuage Bleu, Pearl, and Letarte, enjoying a cup of coffee in the quaint garden area of Paia Bay Coffee & Bar, and stumbling upon the countless fences made of colorful surfboards! After meandering around Paia Town and grabbing a yummy lunch, I’d recommend stopping by Hookipa Beach Lookout where you are bound to find surfer after surfer patiently waiting for the perfect wave. We could have stayed here for an hour watching the surfers ride the waves; they are amazing! 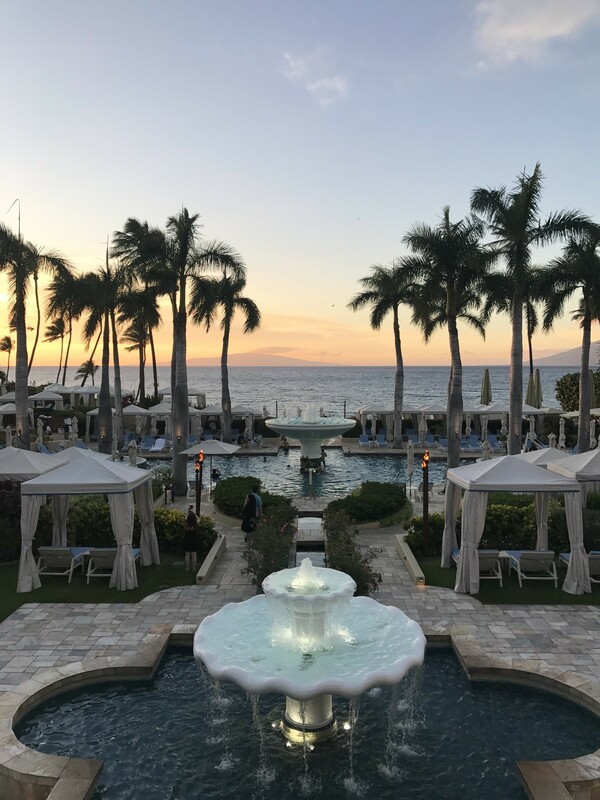 We loved our stay at the Four Seasons Resort Maui at Wailea and could have spent forever enjoying its beautiful grounds and amenities! I’m a huge fan of hotels and literally spend hours upon hours researching properties for our intended destination. 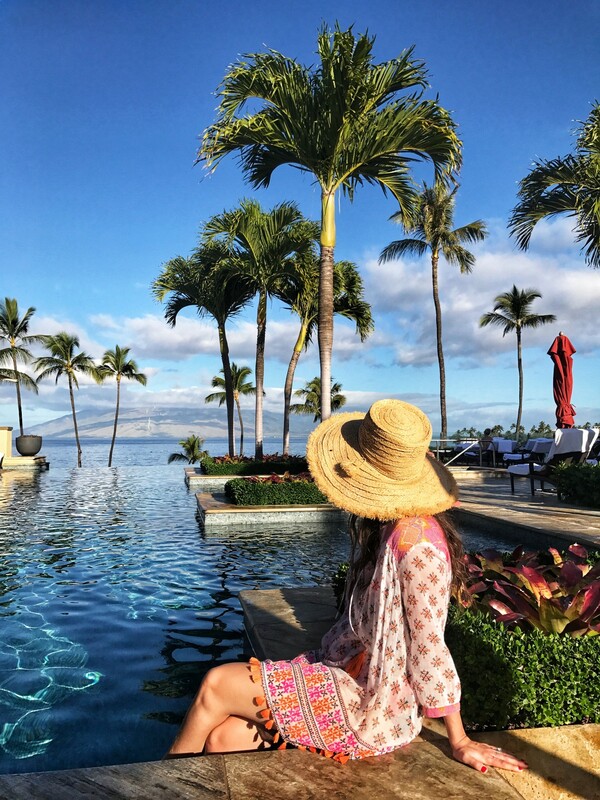 The Four Seasons had something for everyone; on-site water activities, a striking adults-only infinity pool, kid’s pool, and main resort pool, top notch dining options, and a relaxing spa. 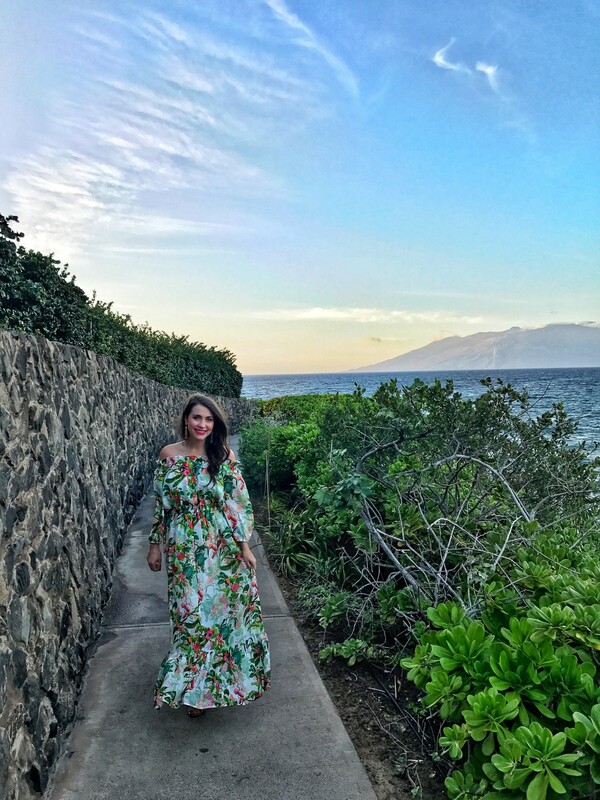 When we weren’t relaxing at our hotel, we loved exploring the other gorgeous properties in Wailea. 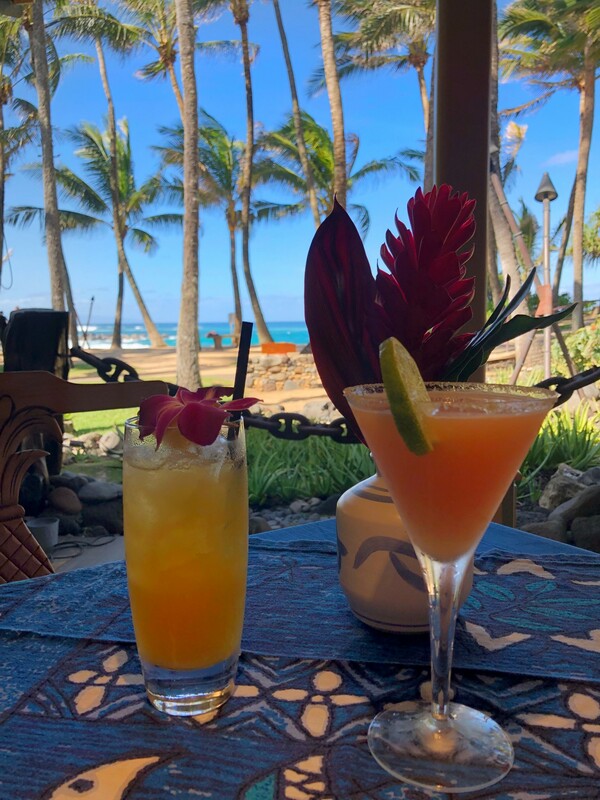 The best way to “resort hop” and scope out other hotels for a future visit is to enjoy a sunset or meal at one of them. 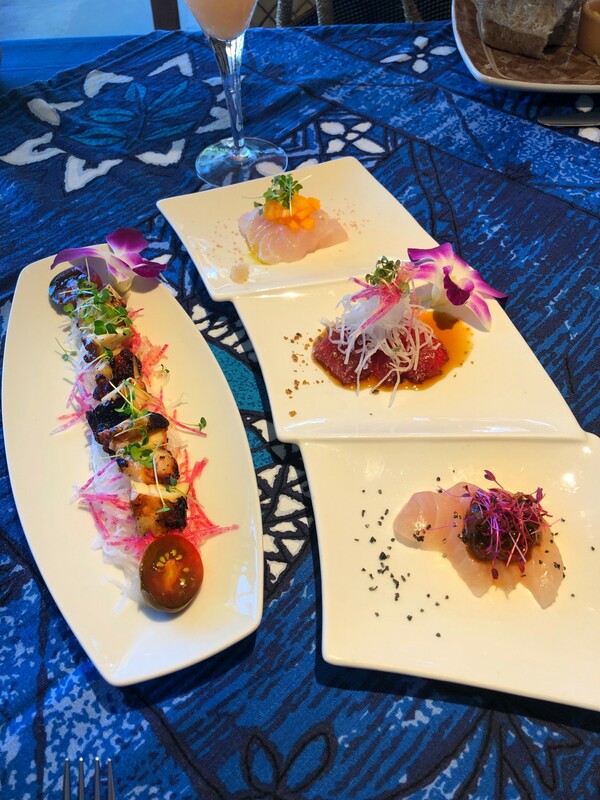 Throughout the week, we had dinner at the larger-than-life Grand Wailea, a serene Relais & Châteaux property, the Hotel Wailea, and the oh-so-sleek Andaz at Wailea, and enjoyed the unique look and feel that each one possessed. 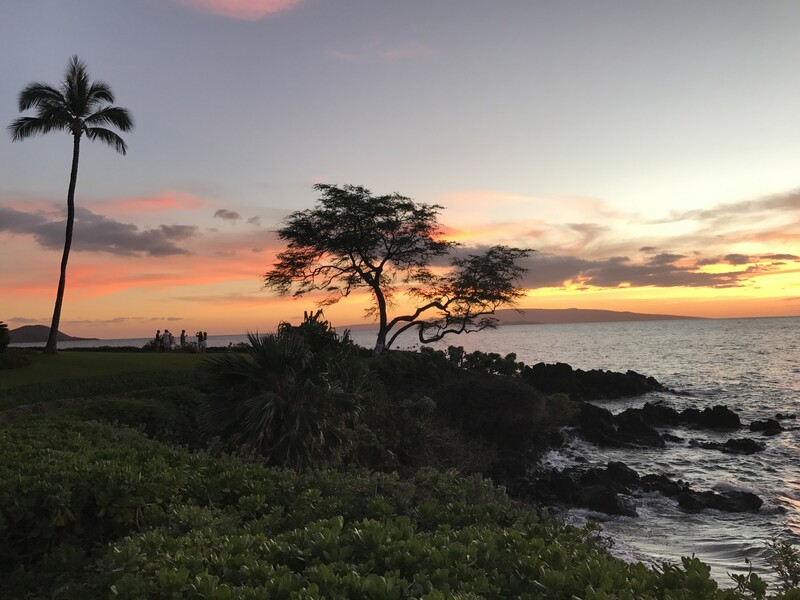 For the best sunset views, I would recommend the Four Seasons, Grand Wailea, and Fairmont Kea Lani. Don’t miss grabbing breakfast at Kihei Caffe (the banana and macadamia nut french toast was amazing!). Bring a sweater, jacket or shawl for the evening, as the temperature drops a bit from the day. The view and cocktails at The Mill House Restaurant were one of my favorites! 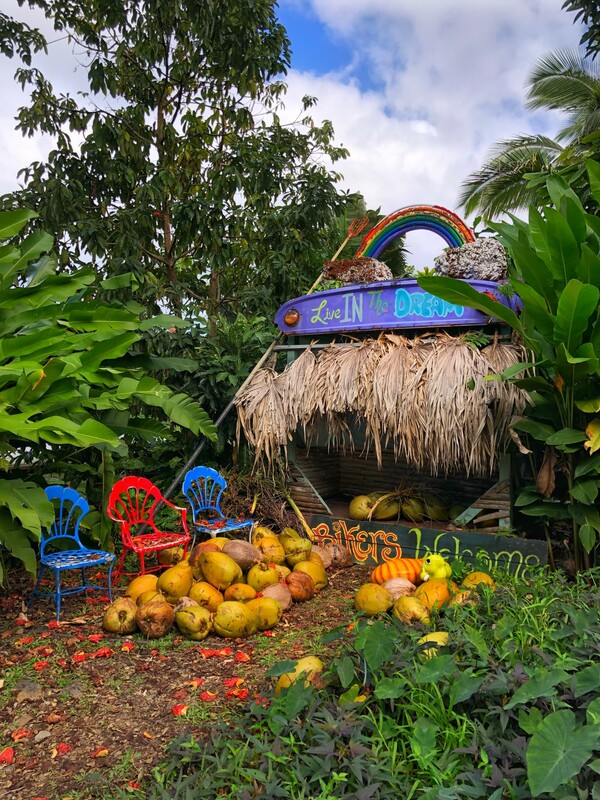 If you drive from Wailea to Lahaina, stop by the Olowala Juice Stand and customize your own smoothie (we got coconut mango and it was delicious!). 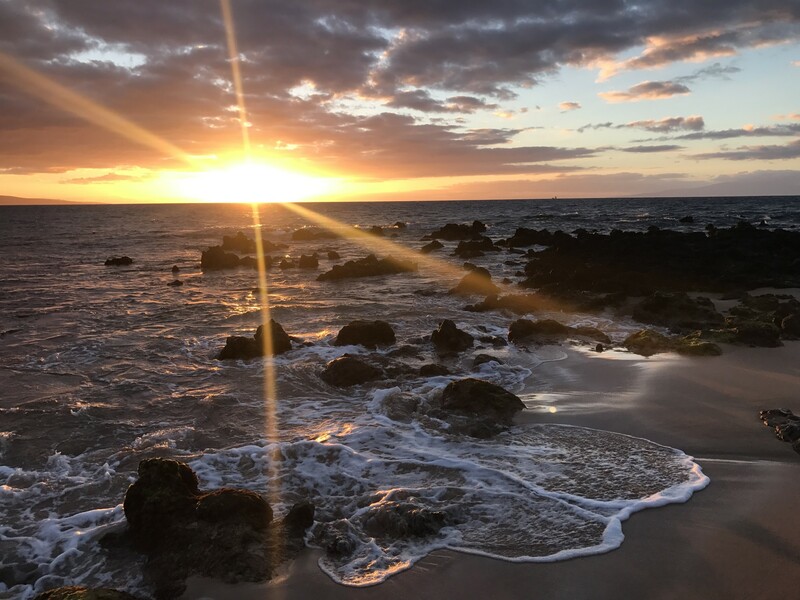 One of our favorite spots to watch the sunset was on Keawakapu Beach. There’s free parking and you may just see a few sea turtles! 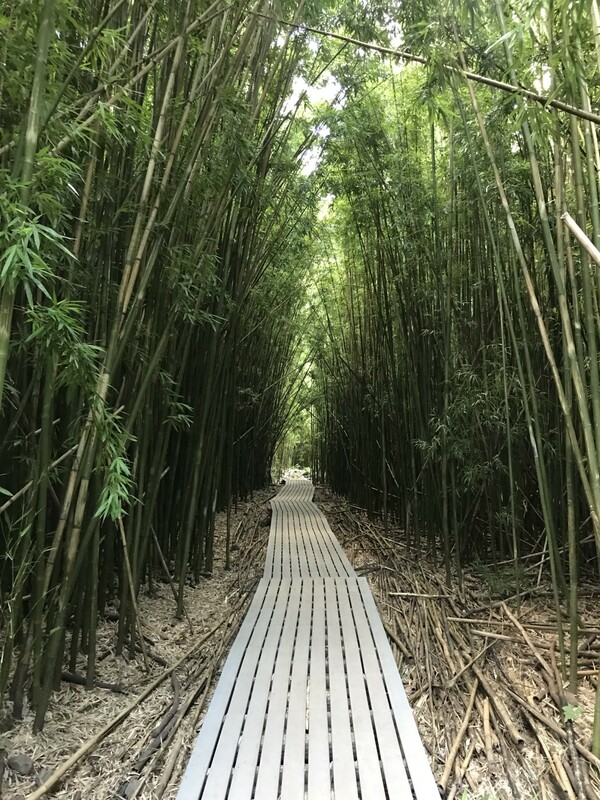 If you love talking walks or jogs on vacation, the Wailea Beach Path is a gorgeous beachside pathway that takes you along the ocean and behind the gorgeous homes and resorts in Wailea.